Complex three-dimensional (3D) structures in biology (e.g., cytoskeletal webs, neural circuits, and vasculature networks) form naturally to provide essential functions in even the most basic forms of life. Compelling opportunities exist for analogous 3D architectures in human-made devices, but design options are constrained by existing capabilities in materials growth and assembly. In this talk, I am presenting routes to previously inaccessible classes of 3D constructs in advanced materials, including device-grade silicon. The schemes involve geometric transformation of 2D micro/nanostructures into extended 3D layouts by compressive buckling. Demonstrations include experimental and theoretical studies of more than 40 representative geometries, from single and multiple helices, toroids, and conical spirals to structures that resemble spherical baskets, cuboid cages, starbursts, flowers, scaffolds, fences, and frameworks, each with single- and/or multiple-level configurations. Professor Sheng Xu was appointed in July 2015 as a member of the faculty in the Department of NanoEngineering at University of California, San Diego. 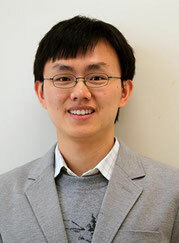 Professor Xu was a postdoctoral research associate in Frederick Seitz Materials Research Laboratory from 2011 to 2015 at University of Illinois at Urbana-Champaign, where he developed advanced wearable electronic systems for healthcare and energy applications. He received his Ph.D. in Materials Science and Engineering in 2010 at Georgia Institute of Technology, and was the recipient of the 2011 IUPAC Prize for Young Chemists for his Ph.D. research on oxide nanowire arrays for energy sciences. He obtained his B.S. in Chemistry and Molecular Engineering from Peking University in Beijing, China in 2006.